Speaking during a panel session at the recent AFR Healthcare Summit, Royal Australian College of General Practitioners (RACGP) President Dr Harry Nespolon said the way remote healthcare and telehealth is offered has changed little since the 1960s. “Doctors still need to see patients in front of them to dispense care. It hasn’t changed much over the last 50 years. I used to work for the AMA [Australian Medical Association] and my boss once said, ‘fish and chips shops today have more technology than most GPs’. There is still some truth in that,” he said. NSW Health Secretary Elizabeth Koff addressed the need for industry, governments and patients to grasp the concept of new-age telehealth and remote care as virtual care delivery models see traditional provider-patient interactions evolve. 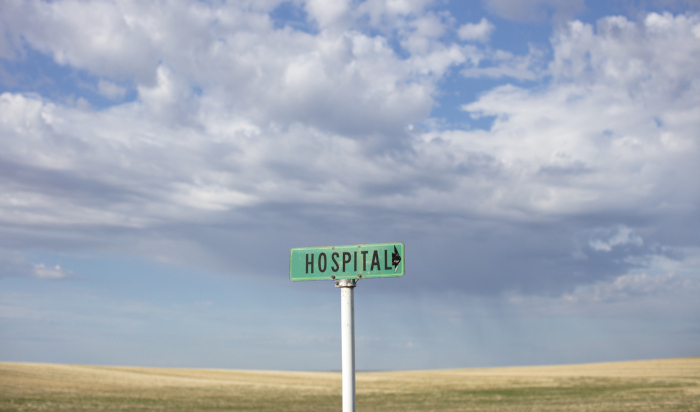 “Not everyone universally understands what we’re trying to achieve with telehealth. It’s not just about providing face-to-face communication in an effectively and timely manner in rural and remote Australia,” she said. According to Silver Chain CEO Dale Fisher, consumers are ready and asking for changes to how remote care is offered, but there are some setbacks. “Consumers are directing the future of care and are asking for changes to how remote care is offered. The policies exist, but there needs to be funding flow from governments to support those policies,” she said. Nespolon agreed, adding that general practice needs to be freed from its current regulatory and financial constraints and that’s something that needs to be worked towards. Royal Flying Doctor Service of Australia (RFDS) CEO Dr Martin Laverty said telehealth is part of the organisation’s DNA, but part of the challenge it faces is that the latest technologies don’t work without proper broadband coverage. Koff said having an agile system in place would enable interoperability, allowing care at a local district level or hospital level be fully integrated with primary care and other services. “The issue around digital enablement and being agile is something health is not known for. And that’s something we struggle with at a system manager level. Whilst we’re keen to have the architecture right, we need interoperability so it can be integrated,” she said. According to Laverty, some of the challenges of telehealth will be eradicated with the next layers of development in broadband delivery. Fisher said in the lead-up to a working virtual hospital system, industry needs to be designing innovative programs in partnership with other organisations. “Rather than worrying about where the money comes from, we need to invest in our organisations to bring siloed parts of our operations together to demonstrate that there is a new way of doing things to deliver good care,” she said. Nespolon concluded the session by saying that a barrier isn’t necessarily technology, but rather, people. “You can’t force technology on to people. It’s whether people want to use it and how they use it. For example, electronic health records have the potential to do great things, but hasn’t taken people all the way through. A more gentle approach is necessary in getting this message across,” he said. Carelink Managing Director Craig Porte, who spoke at a separate session during the summit, said there is still a heavy reliance in traditional delivery models of care in rural areas of Australia, resulting in an unequal distribution of benefits. “Interoperability, unreliable internet, a lack of offline solutions and investments are only some of the problems in remote Australia. There are plenty of amazing technologies that work out there, but for true remote care, they all need to be connected,” he said. “Face-to-face care is still necessary in rural and remote Australia. Interoperability – offline and online systems working together seamlessly – is key. AI will play a role going forward too; simple things like driverless cars will be essential in delivering remote care. Mobile solutions delivering care to the home will also need to become more mainstream.